The necklace is a piece of jewellery that can be traced back throughout history as being worn by both men and women. They were often used as ways to make a distinction among many cultures, and after the discovery of metals such as copper, gold and silver were used the Egyptians, Greeks and Romans started adding gemstones of all sizes and colors to make eye-catching necklaces. 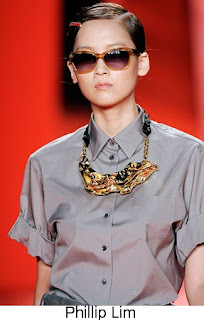 Necklaces are worn for a variety of reasons; one of them is for personal decoration and taste. 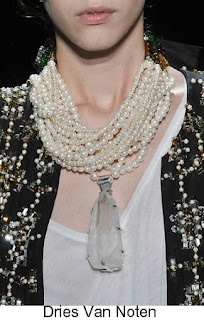 Now the necklace is a popular accessory for many fashion designers to use in displaying their collections as Coco Chanel did with stacking rows of pearls which became a huge trend and still is a popular look for some. 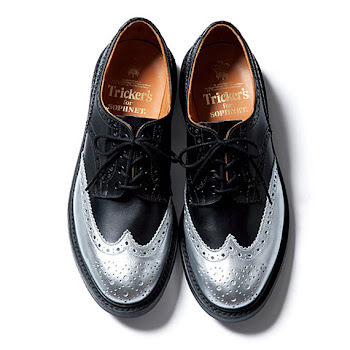 This season they are chunkier, bolder and made up of many materials, using large gems, coins, beads etc. It can make a statement, dress up any outfit, illuminate light and sparkle around any face and make one feel beautiful. 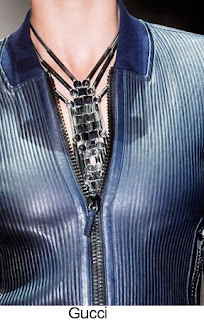 I have always been a huge fan of necklaces and I absolutely love what some designers are showing, whether it is a single necklace or stacked they all are stunning. 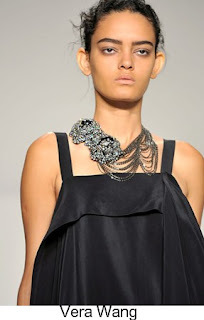 A piece of jewellery like these necklaces are timeless and oh so chic love it! Any necklaces like the ones you post can illuminate the face as you said , something no one thinks about unless you are a jewellery designer Nice friday posting! 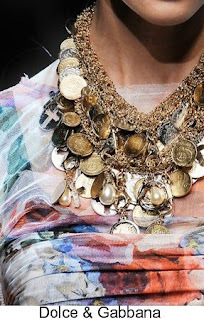 The dres Van Noten necklace is stunning!!! So much to pick from I love the first pic! 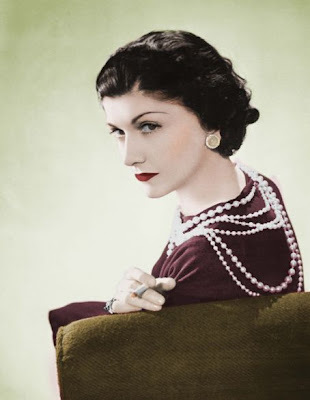 No one wore stacked perals Like Ms Coco Chanel! 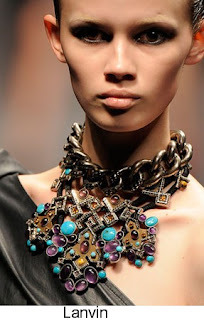 there is something very beautiful about big and bold necklaces, and they do light-up a face great post! 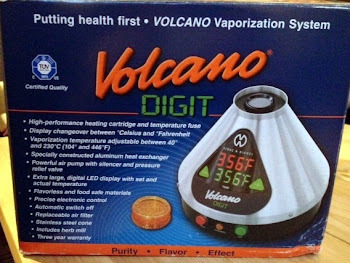 what a fantastic Blog, i was told I'd like it , I love it! !